University of Northern Iowa digital journalism professor Christopher Martin explains to Cedar Falls High School Tiger Hi-Line journalists on Jan. 17, 2019, data to be used in a 2019 IowaWatch-Tiger Hi-Line-Science in the Media collaboration. 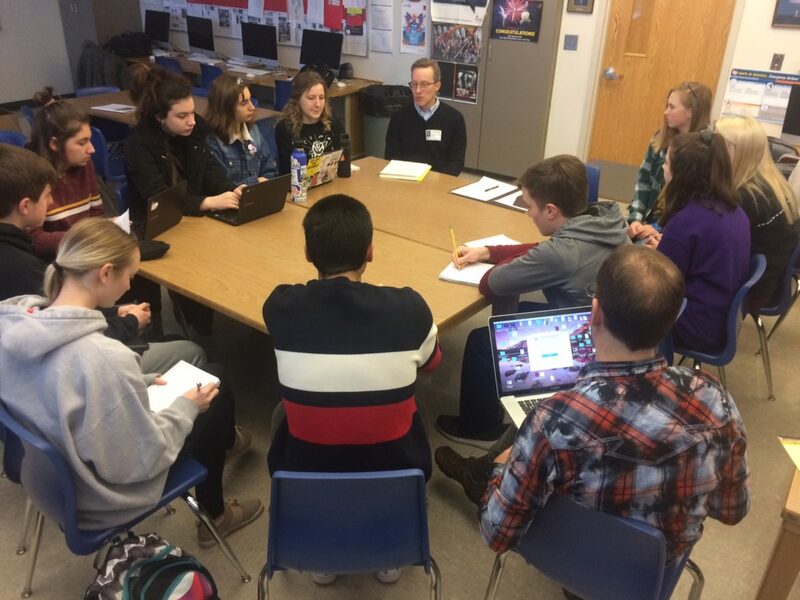 A session on projects IowaWatch works on with the high school journalists and Martin is part of the March 5 summit in Grinnell, Iowa, on environmental journalism. An opportunity exists on March 5 for journalists and students interested in environmental communication to network, explore issues with researchers, promote environmental journalism and strengthen the capacity for regional environmental reporting in Iowa and the Midwest. 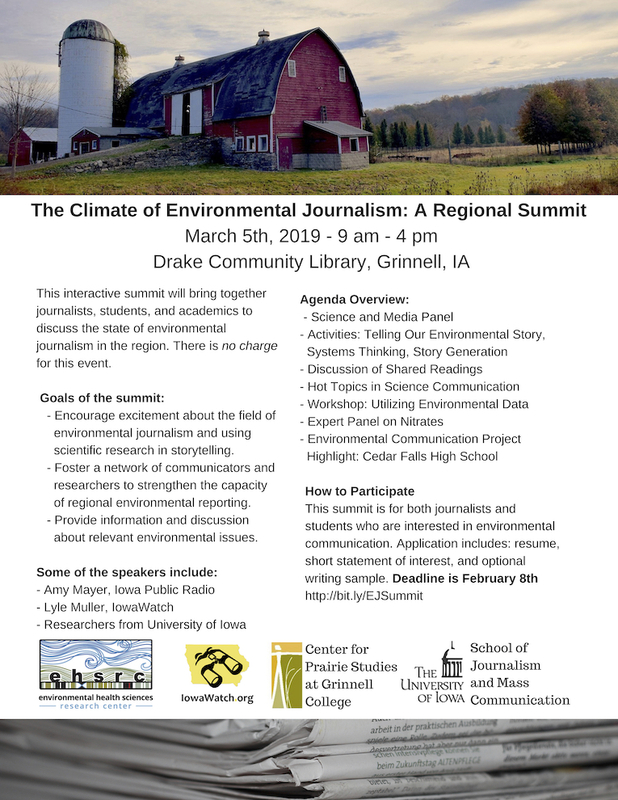 The day-long “The Climate of Environmental Journalism: A Regional Summit” is scheduled for 9 a.m. to 4 p.m. at the Drake Community Library in Grinnell. IowaWatch is a summit cosponsor with the University of Iowa Environmental Health Sciences Research Center, University of Iowa School of Journalism and Mass Communication and Grinnell College’s Center for Prairie Studies. IowaWatch is focusing on public health issues in 2019. Participation in the summit is available free of charge but registration is required by Feb. 8. The application should include a resume but also may include an optional writing sample. Plans for the summit include a science and media panel, identifying hot topics in science communication, a panel on nitrates, workshops and a panel on reporting collaborations Cedar Falls High School journalism students have done with IowaWatch and the University of Northern Iowa Science in the Media project. IowaWatch and the Science in the Media project seek six journalism fellows who have story ideas they’d like to pursue while being paid. We will help these fellows produce in-depth, science-related investigative journalism projects that can be published or broadcast by multiple news organizations in Iowa and the Midwest.